The Immigration Law Center of Candela + Eig + Jurgens LLC welcomes you. 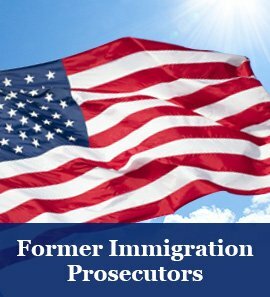 We are a unique law firm of former federal prosecutors practicing exclusively in the areas of Immigration and Nationality law. There are many attorneys in Florida who offer counsel and representation with regard to Immigration and Nationality law matters, but few of them have the experience that our team has. The Immigration Law Center of Candela + Eig + Jurgens has more than 50+ years of combined expertise in these specialties and strives to deliver personalized client services. The practice is multi-lingual and serves clients in a variety of foreign languages including Spanish, Russian, French and Hebrew.